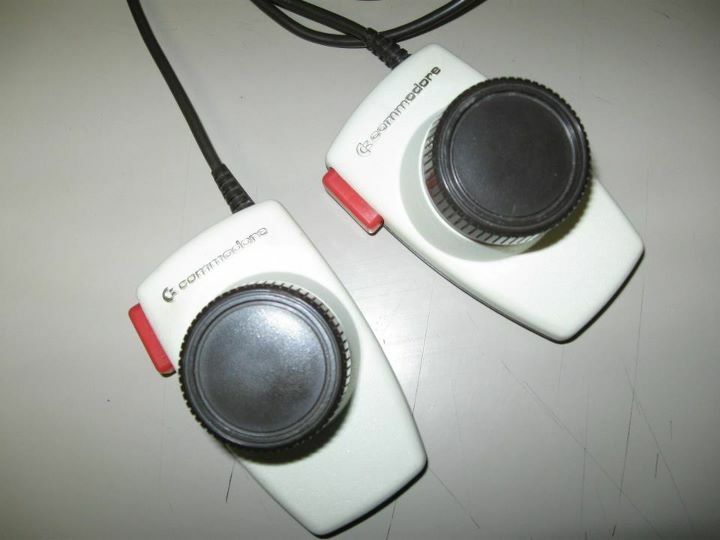 Off to the side of the "chip lab" back when CBM was in the MOS building in King of Prussia, we had a C64 with these controllers hooked to a driving game. An endless driving game whose continuous experience was only broken by the occasional tunnel when suddenly all went dark except for the headlights. Throughout the day various engineers would wonder in and spend 20 minutes playing this mindless game, I swear they left the room rejuvenated after being able to take the brain off-hook for a bit. AT CBM, anybody could play any game at any time and no-one would say anything... until the next round of layoffs when you were judged by whether you contributed or not.